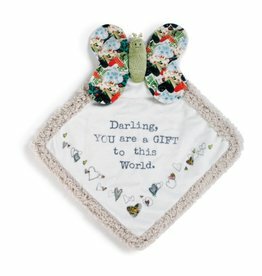 A plush square shaped blankie with a colorful butterfly or ladybug attached at the top corner. This is an uplifting baby gift encourages and inspires the love of family. 10 inch square.